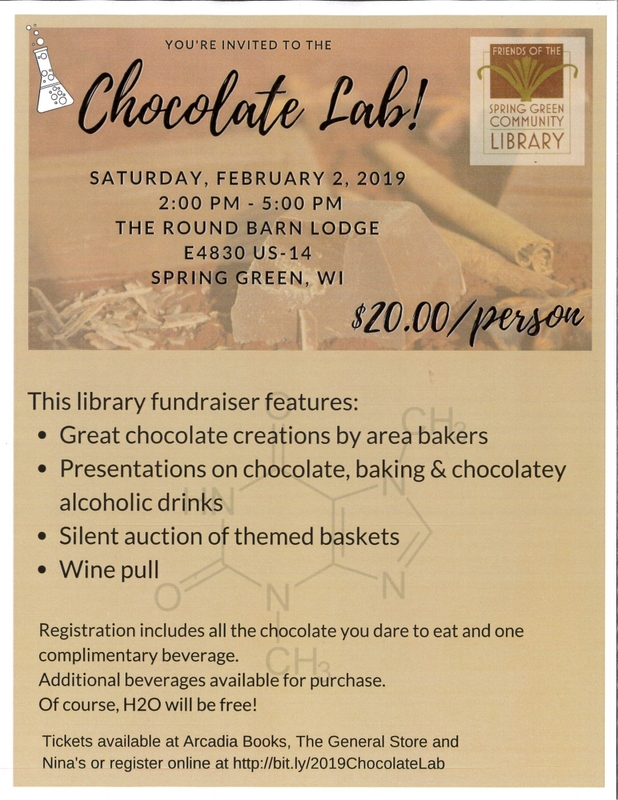 Join the Friends of the Spring Green Community Library for their second annual chemistry-themed chocolate tasting event. It will be held at The Round Barn, E4830 US-14, Spring Green, on Saturday, Feb. 2, from 2:00 – 5:00 pm. Spring Green's best bakers will provide their favorite offerings where the major ingredient is CHOCOLATE! Short presentations on chocolate, baking, and ideas for chocolatey alcoholic drinks will be offered throughout the afternoon. Registration is $20/person and includes all the chocolate you dare to eat, and one complimentary beverage. Additional beverages will be available for purchase. Of course, H2O will be available at no charge! Space is limited, so get your tickets early. 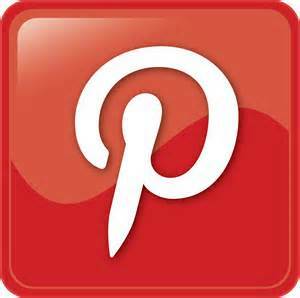 There will be a silent auction of themed baskets and you can participate in a wine pull for $15/bottle. Tickets can also be purchased in Spring Green at Arcadia Books, The General Store and Nina's. Come to Spring Green early and enjoy our downtown shops and restaurants. Bring your chocolate-loving friends for a great afternoon of fun and food!